We’ve all seen TV shows and disaster flicks portraying super-volcanic eruptions. 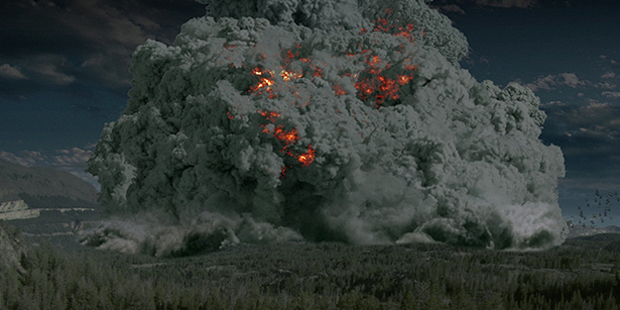 The devastating blast of liquid magma ejected thousands of feet into the air, only to rain down upon unsuspecting mountainside towns and the conspiracy theorist’s RVs (driven by John Cusack), but few people understand the science and causes of actual super-volcanic eruptions. Large igneous provinces (LIP) such as Iceland, the Siberian Traps, Deccan Traps, and the Ontong Java Plateau are extensive regions of basalts on a continental scale resulting from flood basalt eruptions. Say that three times fast. The Réunion hotspot in the Indian Ocean is believed to have produced the Deccan Traps about 66 million years ago, an event that coincides with the Cretaceous–Paleogene extinction event. Although scientific consensus mostly agrees on a meteoric event during that period, some believe the volcanic activity may have caused environmental stresses on extant species up to the Cretaceous–Paleogene boundary. A one-two punch for life on planet Earth. Additionally, the largest flood basalt event (the Siberian Traps) occurred around 250 million years ago and coincides with the largest known mass extinction in history, the Permian–Triassic extinction event; although, it is unknown whether it was completely responsible for that extinction event. The thing about LIPs is that they are very active, but typically non-explosive. An unimaginable amount of gas and magma is released, but like a bulldozer pushing forward for geological advancement. The go-to for stunning, nightmare fuel imagery, massive explosive eruptions are the ones most violent and instantaneous. They lie in hiding beneath the surface and leap up without warning, destroying hundreds of miles of surrounding land in a matter of hours. 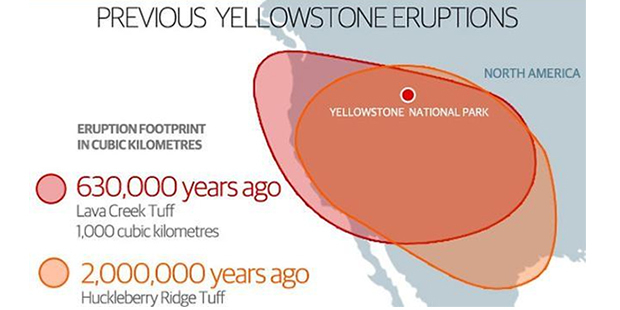 This is the kind of supervolcano that sits beneath Yellowstone National Park. Geologists and volcanologists actually do have a scale of devastation for these types of volcanoes, kind of like the Fujita (F) scale for tornadoes or those hurricane “categories.” Known as the Volcanic Explosivity Index, or VEI, the scale ranges from level 0 to level 8, with a 9th level available if scientists ever classify a single volcanic event large enough. It is a logarithmic scale, meaning that an increase of one in VEI number is equivalent to a tenfold increase in volume of erupted material. To give you some perspective, the Mt. Saint Helens eruption of 1980 that destroyed 200 houses, 47 bridges, 15 miles of railways, and 185 miles of highway (and was equivalent to 1,600 times the size of the atomic bomb dropped on Hiroshima) was only a VEI 5 eruption. In conclusion, a supervolcano is ambiguous, yet terrifying. Unforeseeable, yet ever-ready to announce itself. The causes and classifications are as complex as predicting where a twister will touch down, and yet the repercussions stretch across all continents and timelines in the volatile history of our great blue dot in the sky. If the human race escapes such a fate in the near future, then we can consider ourselves lucky, but fretting over unknown possibilities is like digging a dull knife into your leg every morning: both futile and exhausting. What are your thoughts? 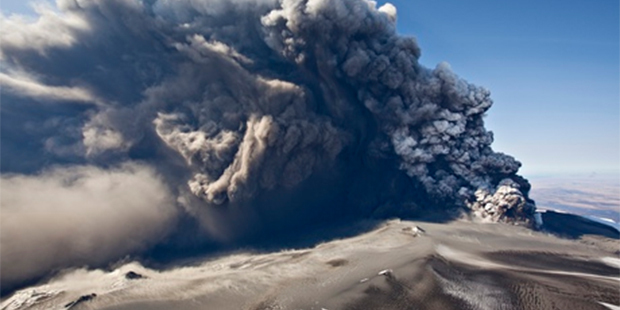 Do you fear an imminent super-volcanic eruption? 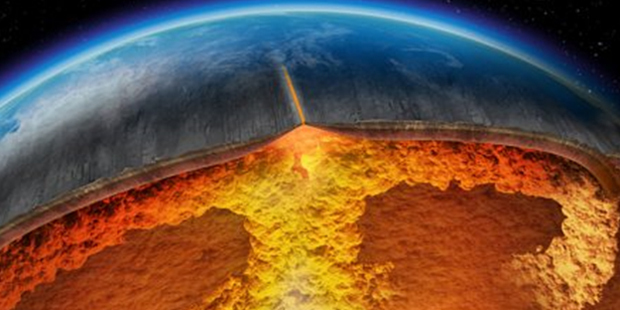 Are you fascinated with the science behind tectonics? Join in the conversation: comment below and share on Facebook!